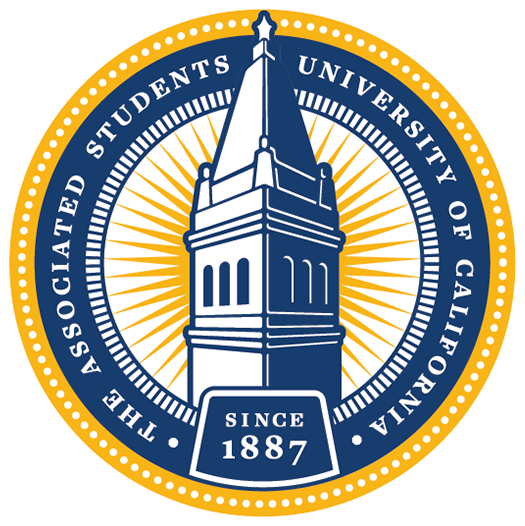 The Judicial Council is vested with the judicial authority of the Associated Students of the University of California. It adjudicates any and all disputes that arise under the ASUC Constitution and By-Laws as well as with any official actions of the ASUC’s Executive Officials, Appointed Officials, and Senators. Additionally, the Judicial Council may direct action to remedy all such disputes, interpret and maintain custody of the ASUC’s governing documents, and certify the results of the school-wide spring elections. The Judicial Council is a non-partisan body of the ASUC. Nine members of the University’s student body sit on the Judicial Council. Six of the members come from the University’s undergraduate student population; the remaining three are members of the University’s graduate student population. Do you believe a rule/regulation of the ASUC Constitution or By-laws has been violated or have a question of interpretation? Please file a petition with the ASUC Judicial Council. recognized until the hearing and if need be, can be changed simply by modifying one’s petition. witnesses, objections—refer to JRP 4.0 for further information). JRP 4.16 for more information). Each party is permitted one spokesperson to address the Council, examine witnesses, and raise objections. The Council may ask questions at any time during the hearing. committing perjury, you may appeal a case or request a rehearing in writing. or contact the Chair of the Judicial Council at judicialchair@asuc.org. Maureen is a junior from Oakland, California studying Political Science and minoring in History. She is serving as this year’s Judicial Council Chairperson. Her studies and career interests focus on politics and foreign policy of the East Asia and Pacific region. She loves dogs (especially her Bernese Mountain Dog, Lucy), burritos, and the album “Coming Home” by Leon Bridges. Her favorite color is blue. Amanda is a second-year law student from Louisville, Kentucky. This past summer Amanda worked at Public Advocates, a public interest law firm, focusing on education civil rights. Her pastimes include spending time with family, watching Netflix, improv comedy, barre classes, and following politics. Christian Armstrong is a sophomore studying Political Science and Public Policy. His passions include national and European politics, poetry (Maya Angelou, Rupi Kaur, etc.) and the law. His dream is to become either an appellate judge on the federal bench or a family judge. He loves cats and dogs and enjoys listening to music. His favorite artists include Sade, Tracy Chapman, and The Weeknd. He is a Pisces and loves the color blue. Jonathan Fuentes is a third year transfer student studying Political Science and History at the University of California, Berkeley. He is an aspiring law student with interest in United States political, legal, and historical research. His favorite color is gold. Harmeet Kaur is a fourth year transfer student studying Political Science from Fremont, California. She is passionate about serving her community, and the Law. Her interests also include dancing, baking, hiking, and exercising. She is a gemini, and loves reading about astrological signs. Her favorite color is blue. José Marrero Rosado, originally from Puerto Rico, is currently in his first year of doctoral studies in Anthropology. In 2017 he graduated from Syracuse University with a B.S. in Biochemistry and B.A. in Anthropology. Past research includes developmental and neural toxicology in aquatic vertebrates, and the biocultural understanding of lead poisoning in early urban contexts. Currently, he is studying Caribbean pre-columbian and historical periods through bioarchaeological research of human remains, with a focus on paleopathology and molecular anthropology. José likes to listen to The Script, Daughtry, and Lifehouse, and has and obsession with coffee and dogs. His favorite color is red. Omar is a senior studying Political Science and Legal Studies. He is originally from Guanajuato City, Mexico, and grew up in Whittier, California. He is employed as a research assistant in the Charles and Louise Travers Department of Political Science here at UC Berkeley studying the efficacy of torture and has served in the ASUC’s Legal Office and on the Elections Council. His favorite band is Deftones, he is a Scorpio, and his favorite color is green. Brian Tsui is a junior studying History and minoring in Public Policy from Pittsburgh, Pennsylvania. His academic interests lie in studying ancient Mediterranean political institutions, and he loves listening to Taylor Swift and Nick Jonas. His favorite color is green.